The Regular Season in BNL just started. Here is the last round review presented by ESL. The most exciting game of round 1 in the BNL took place in Johannesburg. This derby game ended with only three-point defeat on the road of Eagles (0-2) to Panthers (2-0) 76-73 on Saturday evening. Both teams do not play next round, which will be an opportunity for some rest. The game between Top Four teams took place in Limpopo. 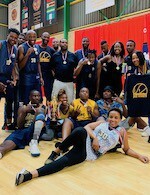 host Limpopo Pride (0-2) was smashed by Magic (2-0) 59-29. Both teams do not play next round, which will be an opportunity for some rest. The game between Top Four teams took place in Limpopo. 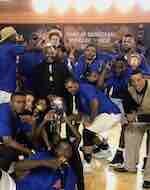 host Limpopo Pride (0-2) was smashed by Magic (2-0) 80-56. Both teams do not play next round, which will be an opportunity for some rest. The game in Johannesburg supposed to be also worth to mention about. Eagles (0-2) played at the court of Panthers (2-0). Panthers smashed Eagles 97-68. Both teams do not play next round, which will be an opportunity for some rest. An interesting game took place in Mbombela where Rhinos (0-2) were upset on its own court by Suns (2-0) 105-62 on Sunday. Both teams do not play next round, which will be an opportunity for some rest. In the last game of round 1 winless Mpumalanga R. lost to undefeated Tshwane S. on the opponent's court 64-77. There was an upset in Tshwane where Rhinos (0-2) were defeated by Suns (2-0) 77-64 on Saturday. Both teams do not play next round, which will be an opportunity for some rest.